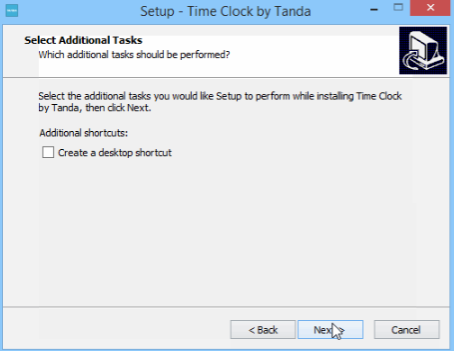 Using a dedicated tablet device for your Tanda Time Clock is our recommendation. 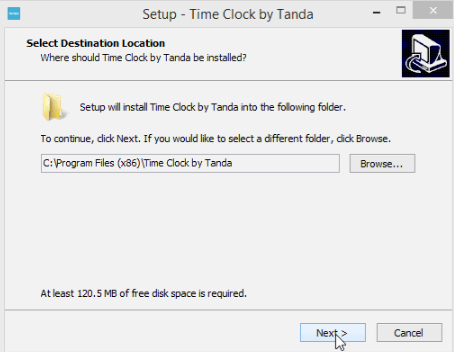 However ,if you would prefer to have it set up on your desktop, you can also run the Time Clock App on your computer. You should have a dedicated computer for this, so staff are not interrupted while trying to clock-in and-out. It is also suggested your computer has a webcam, so staff clock-in photos are recorded and added to their Timesheets. 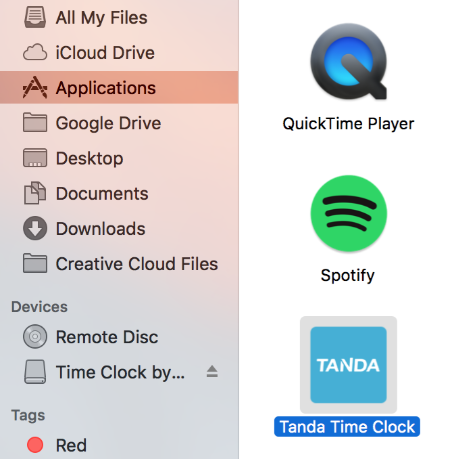 Navigate to your applications folder and open the Time Clock app. 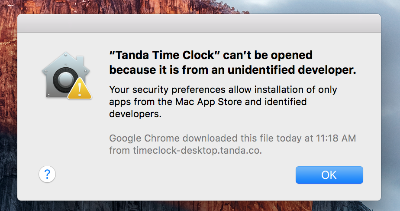 Depending on your app settings you might get this message on your computer. Installing the Time Clock app is perfectly safe and you can remove it anytime you like. 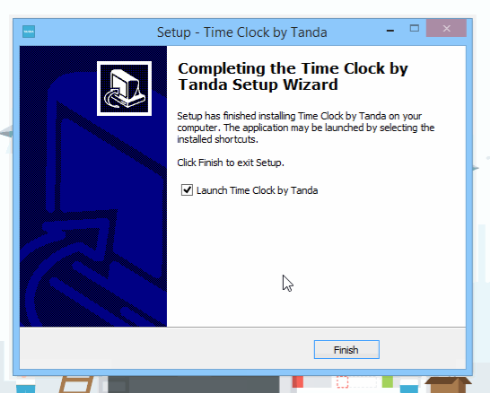 Now re-open the Tanda Time Clock app and make sure you are connected to the internet. Click I have an account and enter the setup code from your Tanda account. This is on the Desktop tab where you were previously. 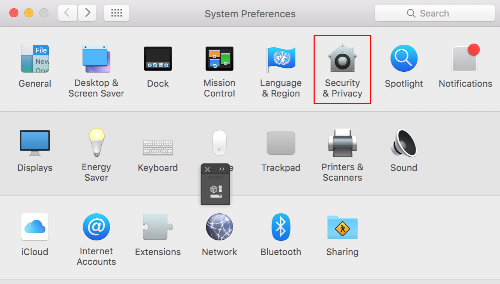 If you need to uninstall the App, check out this article from Apple. 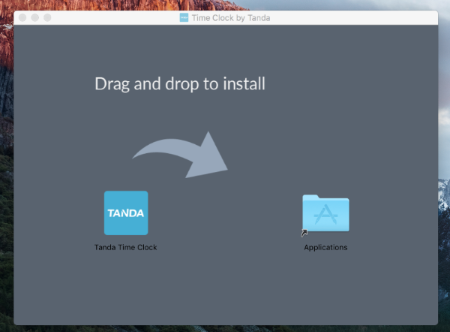 Once you have downloaded the file to your computer double click on the shortcut to open it. Next you will see a warning message, click More info and Run Anyway. Installing the Time Clock app is perfectly safe and you can remove it anytime you like. If you need to uninstall the App, check out this article from Microsoft. This may differ slightly depending on which version of Windows you run.